As the current standing Regional Director of The Oncology Nurse Education Team at AbbVie Labs, Jason Rothaermel is being recognized as a “Leader in Nursing” by the American Health Council for his expertise in Oncology. Graduating with his RN and BSN from Kent State University (1998), and later his Marketing-focused MBA from Florida Institute of Technology (2010), Rothaermel holds 5 years in his current role as Field Medical Regional Director of Medical Affairs and 19 years within the healthcare industry. He became engaged in his profession after realizing he had an inborn drive to help others and making a positive impact on the lives of as many cancer patients as possible. Day to day responsibilities for Rothaermel include managing a team of highly-trained Oncology Clinical Educators, being tasked with the education of Allied Health practitioners on various Oncology disease states as well as Novel Therapeutics, ensuring the best outcomes of those afflicted with cancer. Rothaermel aspires to continue to empower as many Allied Health care professionals through education to be the best possible advocates for their patients. Through scientific translation and clinically meaningful information, Rothaermel hopes his patients can practice this philosophy to better the lives of individuals with cancer. 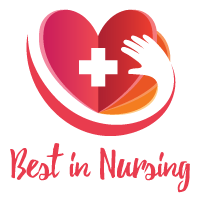 Rothaermel is honored to be a member of the Oncology Nursing Society (ONS), who are “committed to promoting excellence in oncology nursing and the transformation of cancer care”. Among his other professional associations are the Advanced Practitioner Society of Hematology and Oncology (APSHO), the American Association of Physician Assistants (AAPA/AAPO), the American Society of Clinical Oncology (ONS), and the American Society of Hematology (ASH). Personal achievements of Mr. Rothaermel include being a youth football coach, a member of the Crossfit community, and a member of the local high school’s athletic boosters. He attributes his success to his wife, mentors, and physicians who put their trust in him. In his spare time, Rothaermel enjoys reading, practicing Crossfit with his sons, and spending time with his wife and family. Abbvie Labs is a company that takes on the toughest health challenges. They do more than treat diseases – they aim to make a remarkable impact on peoples’ lives. AbbVie is a highly-focused, research-driven biopharmaceutical company. AbbVie’s 29,000 employees are scientists, researchers, and communicators, manufacturing specialists, and regulatory experts located around the globe. They come up with new approaches to addressing today’s health issues – from life-threatening illnesses to chronic conditions. AbbVie targets specific difficult-to-cure diseases where they can leverage their core R&D expertise to advance science. They are constantly working to create solutions that go beyond treating the illness to have a positive impact on patients’ lives, on societies, and on science itself.